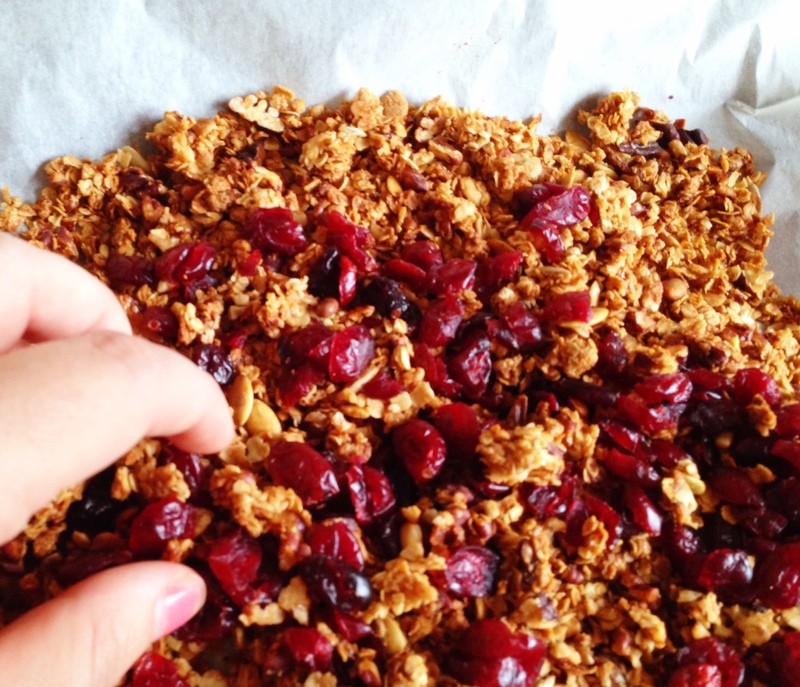 Granola is a sweet and crunchy cereal to munch at breakfast time, and it’s good for you too. 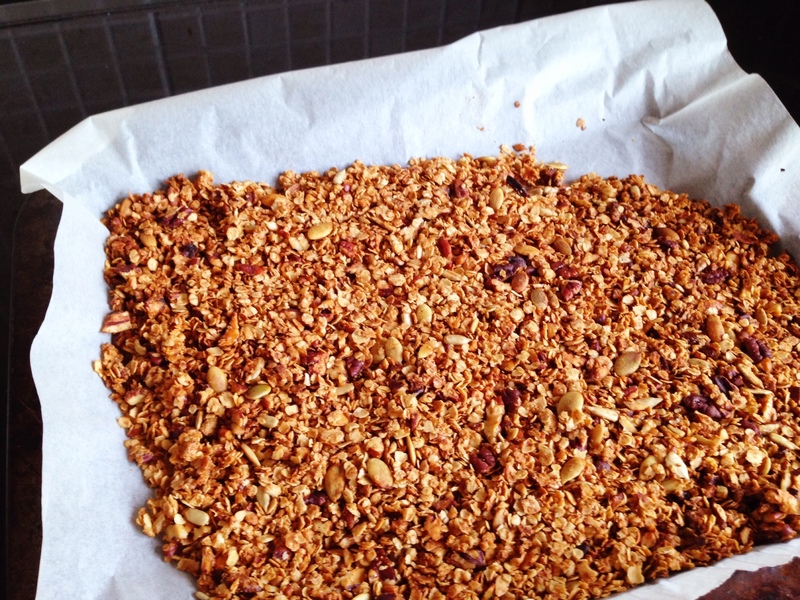 This granola recipe is really versatile, so you can put in whatever fruit and extras that are your favourites. Yep, you can design your own breakfast cereal! It’ll also make the grown-ups happy, as this version is healthy as well as being much, much cheaper than the granola you buy in the shops. 1. Preheat the oven to 170c, 325f, gas 3. 2. 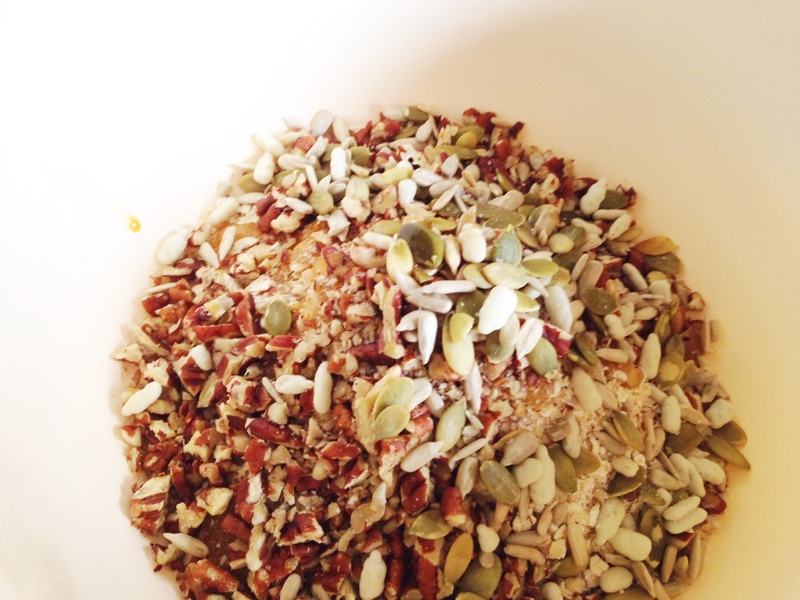 Put all your ingredients into a bowl, apart from your dried fruit, and mix them together. (You can do this with your hands if you like, as the mix isn’t sticky). 3. Spread it out onto a baking tray lined with parchment or greaseproof paper and get a grown-up to put it in the oven. 4. After 10 minutes, get your grown-up to take it out and give it a mix around with a spoon. This is to make sure the oats get nice and toasty. 6. 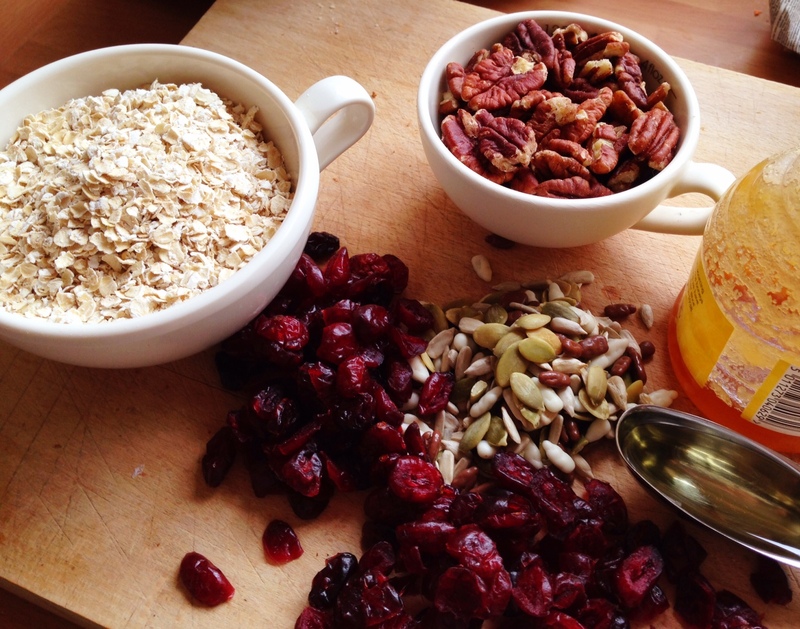 Break up the pieces and mix in the dried fruit with your hands. 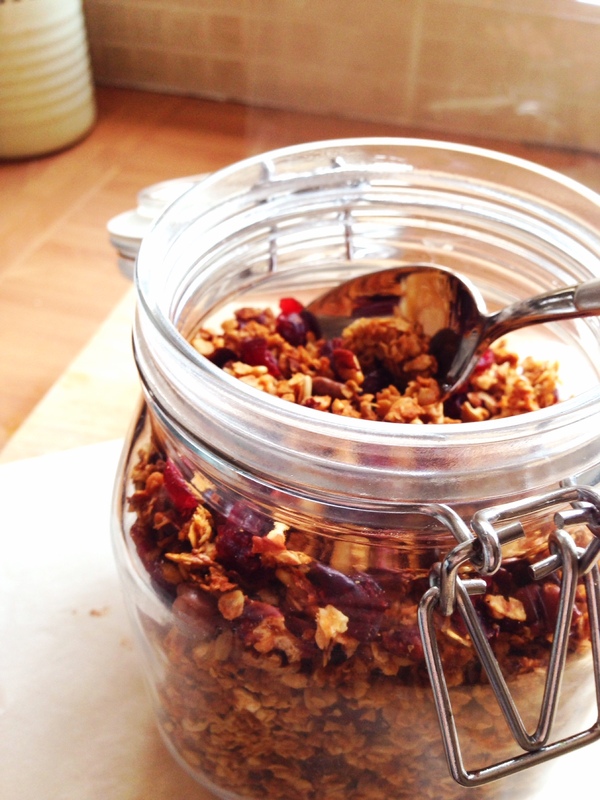 Use the paper to pick up your granola, and then funnel it into a jar. And it’s as easy at that! 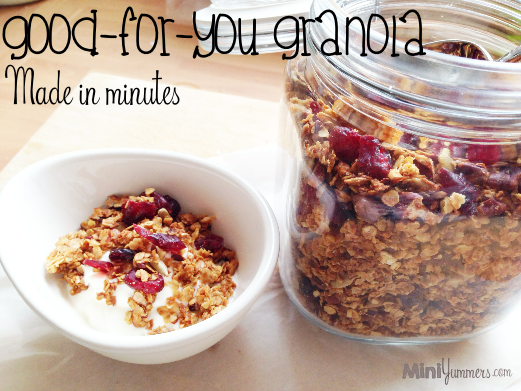 Granola tastes yummy with yogurt, and you can add a drizzle of honey or some fresh fruits to make it extra yummers too. 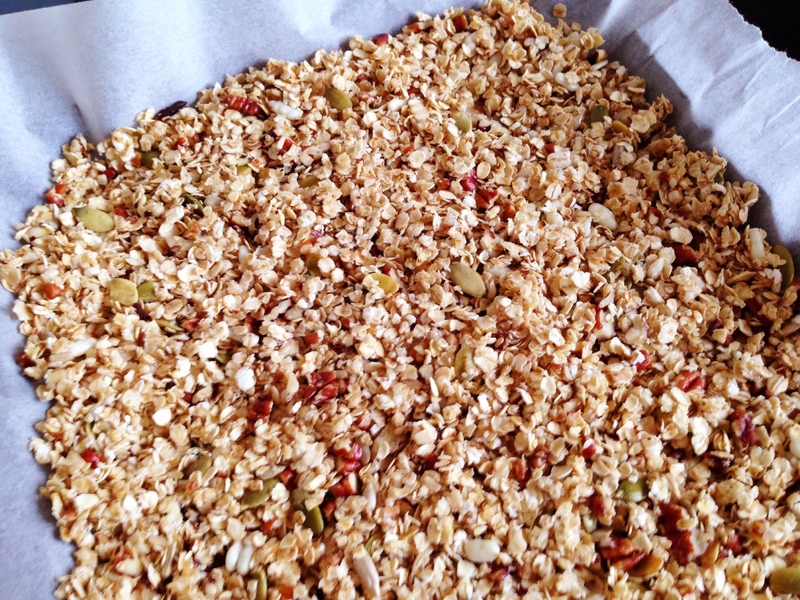 Are there any other breakfast cereals you’d like to know how to make?